Three films amongst the very many that I have seen in the last two months deserve a special mention. Pestonjee (dir: Vijaya Mehta, 1987), Chhoti Si Baat (dir: Basu Chatterjee, 1975) and Chakra (dir: Rabindra Dharmaraj, 1980) are the films that I am talking about and I saw them all after a gap of two decades or more. Pestonjee is the drama of a unique character. 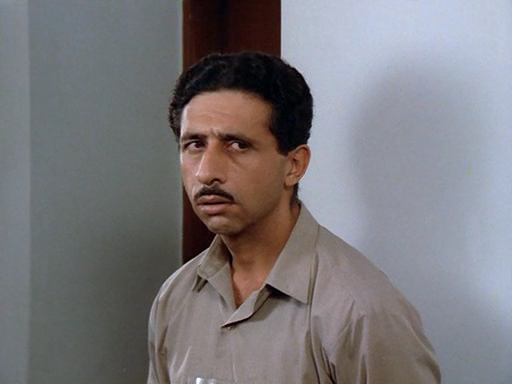 Pirojshah Pithawala (Naseeruddin Shah) is a straight-forward, obstinate, pedantic loner, who hovers between the safety and security of his well defined, limited ambience and wishful thinking. He almost has his own big personal moment of coming close to marrying a woman – in fact, the only woman and from his own community that he has seen for this purpose and misses it due to his own indecision. The gainer is his close friend of long standing Pestonjee (Anupam Kher). This event precipitates a predicament for him, which lasts a life time. He idealizes and idolizes the object of his affection Jeroo (Shabana Azmi) and begins to maintain an obsessive and critical eye on the married life of Pestonjee and Jeroo. It is as if he lives looking at a painted picture of how his married life would have been. It is as if he is constantly writing and re-writing a script in his mind in which he is the protagonist. Things in real life, however, take their own course. What defines Pirojshah further is that he is a pukka, South Mumbai Parsee. Many cultural idiosyncrasies are expressed through his habits and habitat, through his interactions with his relatives and neighbours and as well as at the Rippon club. His character is at all times has a strong ethnic dimension. Chhoti Si Baat is a sweet love story of a boy next door (Amol Palekar), who falls in love with the girl who stands next to him at the bus-stop and who also works in the office next door (Vidya Sinha). Acquaintance, infatuation, love grows through shyness, diffidence, doubts and an adversary (Asrani). Ashok Kumar plays the Guru to the diffident boy with élan. This is a love story that happens entirely in public places like the BEST bus stop, the bus itself, the streets, the foyer of the building, staircases, offices, cafes and restaurants. A tongue in cheek humour, satire, melodious songs, sparsely used background music and small flashes of fantasies serve like an icing on the cake that is baked stylishly, but realistically. KK Mahajan’s unobtrusive camera work and Salil Choudhury’s tunes are memorable. Chakra is a brutally realistic novel of a leading Marathi writer Jaywant Dalwi adapted for cinema. A real milieu was created in the midst of the city by Bansi Chadragupta. The studio set was as if transplanted on the city wherein it merged beautifully, with the highway traffic, big water pipe lines and rail lines a bringing up the background.. The characters, habitat, speech, action in this film has a terse, violent quality that expresses the existence of the marginalized city dwellers, who are condemned to live in sub-human conditions. But, the film is far from mono-dimensional. All the characters have individual dreams, aspirations, joys and sorrows and their stories collectively build up the picture of a life in a slum. Smita Patil as Amma, Naseeruddin Shah as Luka and Kulbhushan Kharbanda as Anna are the principal players. Barun Mukherjee’s camera work brings out the melancholy beautifully. Hridaynath Mangeshkar’s tunes and background score is not voluminous, but intense. Although totally different in their appeals, together these films show us the variety of life that exists in Mumbai. All main characters are believable, vulnerable, mutable, non-heroic. The story telling is lucid with simple techniques, well defined milieus and characters, well cast and acted. They are all ‘chamber works’, that believe in less is more. They reflect the tehzeeb of the times and a freshness that was being infused in Indian cinema at that time. This is insider’s art in contra-distinction to the clever, but soulless craft of outsiders like in Salaam Bombay and Slumdog Millionaire. Firstly, well come to the blog sir. Secondly, I beg to differ on Salaam Bombay. I saw it again recently and thought it was high on soul and cinematic story telling. I have yet to see a film that captures South Central Mumbai so authentically . The casting and performances were top notch. L Subramanium’s haunting music was soo good. Also, why would Mira Nair-Sooni Taraporevala be ‘outsiders’? Thanks for the comment. ‘Soulless’ perhaps would be a little harsh comment for Salaam Bombay-[ ‘clever’ would be a better word] , but not for Slumdog Millionaire. Let me see Salaam Bombay once again and get back to you. 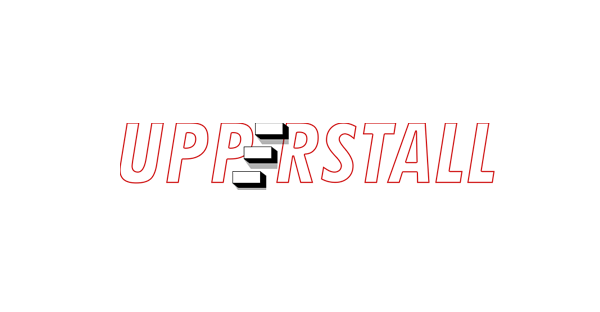 Welcome to Upperstall Blogs, Anil Sir. Your blog rekindled my memories of some of my favorite films of the times. But I agree with Cubbu on Salaam Bombay… thought it was a well made film that packed a lot of cinematic and emotional punch. Being a non-Mumbaikar can’t comment on its ‘authenticity’ of milieu. But, having seem Mira’s The Namesake, I thought she captured the mood and milieu very well. The sequences she shot in Kolkata seemed more authentic and cinematic than many home-grown filmmakers. Good article, Anil. Food for thought and reflection. Will have to see all three films again. It’s a nice article. I will definitely watch all three movies after this article.